We couldn't have been happier with Jess, she made us feel so comfortable from the very start and in our eyes was the perfect celebrant. Jess tailored our wedding ceremony to suit us and once we got the draft back we didn't even need to change a thing, she had got it spot on! We had multiple friends come up to us after the wedding and say she was the best celebrant they've ever seen and we completely agree! Highly recommend. Cannot recommend Jess enough. if you're wanting a chilled, fun, bubbly, modern celebrant for your wedding please look no further. We were dreading our ceremony as we don't like too much fluff and public displays of affection but Jess completely understood who we are just from a couple of meetings with us. She created a stress free, quick and modern ceremony which was exactly what we wanted and captured who we are as a couple. We received so much positive feedback about our ceremony and I attribute it to Jess. Thank you so much Jess, you are amazing!!!!! 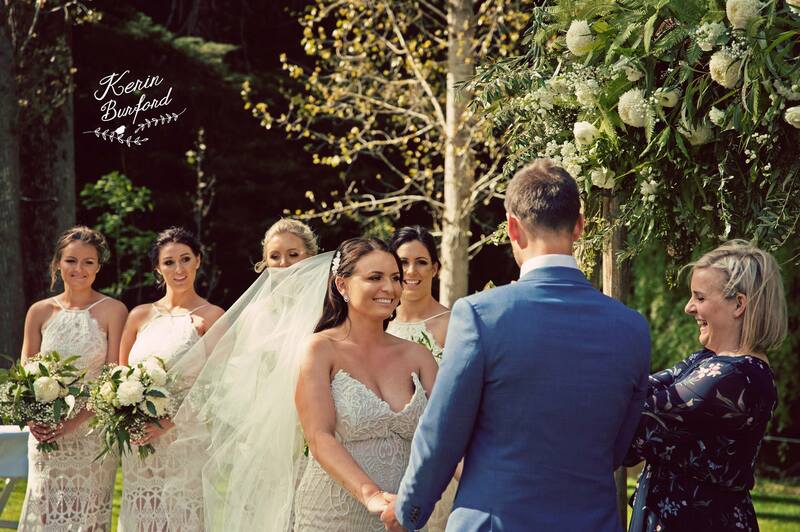 Jessica was an amazing celebrant. She was thorough from the first interaction and was very prompt with replies to any crazy bride questions i had. She made our ceremony unique and wonderful and even created a little reading for right at the end. Couldn't have been happier with her. Jessica was amazing. Very easy to contact, easy to deal with and very professional. She was always willing to help. Jessica is such a personable, sweet, caring lady, who you can tell loves her job! Jess was extremely friendly, and designed a beautiful ceremony to suit us well! Everything we've ever wanted in a celebrant, and felt as though we had known her our whole life. Made the ceremony feel really special! We cannot thank Jess enough for making our ceremony one to remember. She helped make it so personal to us and full of fun and laughter. 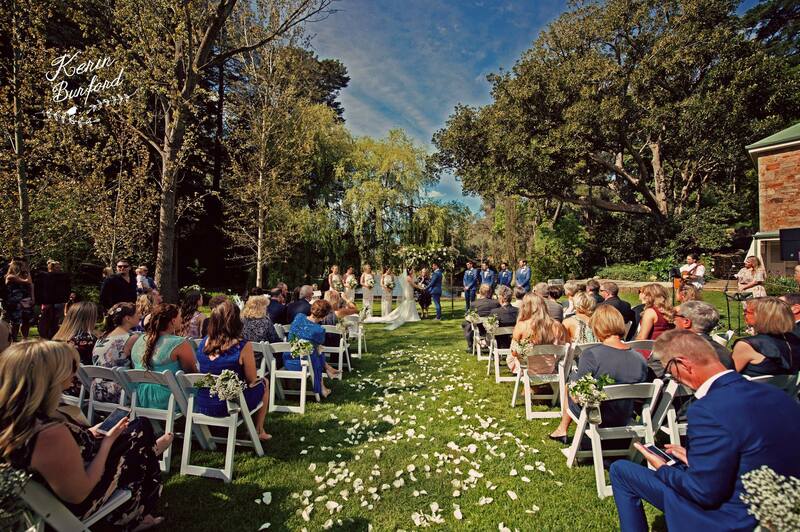 All our guests could not stop raving about Jess and how amazing the ceremony was! Could not recommend anyone better!! We were really happy with Jessica, she was great. She made everything really simple and easy for us. On the day she was brilliant. We loved her! Jess was an absolute pleasure to work with! She is young and brings a fun vibe to the ceremony which is exactly what we wanted! She was fantastic in all the planning and on the day! Jessica was absolutely amazing. We met 6 months before the wedding and she did up a ceremony for us. The ceremony she sent through was exactly what we wanted. We didn't need to change anything from the draft. She was just so lovely. She was funny, absolutely perfect! Excellent service. Jess is professional, helpful, thorough, and most importantly has a very warm and welcoming nature. I would recommend Jess to anyone looking for a celebrant who is genuinely happy and honoured to help a couple on their special day. We were so happy with Jess. It was nice to have a young modern celebrant with lots of experience. It made the day easy for us. She was very organised, and the day went smoothly. We chose her because we wanted someone younger. We wanted someone who was open to whatever we wanted. As soon as we met up with her we booked her straight away. She was great on the day and well organised. The rehearsal was great as well. Before the wedding she sent through a lot of different options that we could go through. She was great! "Loved her fun and friendly personality and professional approach!" More than happy with Jessica's service. Jess was very gracious and accommodating. The vows she wrote for us were perfect. She had a really good feel about who we were as a couple from the moment we met her. Jessica took all the stress out of the ceremony for us. She was lovely and competent to deal with and always got back to me quickly which I really appreciated. My husband and I felt as though we were dealing with a friend. I had lots of comments from guests about how fantastic Jessica was on the day which we of course though as well. Jessica made me feel (as out of myself and my husband I did most of the wedding arranging) that I had someone to lean on. Jessica is bright and bubbly and genuinely loves weddings and watching two people get married. She takes a lot of pride in her work and her image. I would recommend Jessica to any of my friends getting married and have already recommended her on wedding Facebook sites to ladies looking for someone.